As we arrived in the city of Reykjavik, we noticed a whole different environment. We got in the bus to go to the host organization’s office; the roads were clean and the weather was wet. On the way Mimoza asked “Did any of you see any trees until now?” Latter our camp leader explained to us that people in Reykjavik in the past cut down most of the high trees, so there are not many trees left in the city. We were very motivated to explore the city, to study its environment and to see the approach that people have to their surrounding environment. During our stay we lived in an environmental friendly house, where the electricity and hot water came from geothermal energy, and we sorted the garbage we made. The first lecture that the camp leader held was about the environment of Iceland. He explained that the country is ‘one giant geological hotspot’; the island is one of the most active volcanic regions in the world. There were volcanic rocks everywhere in the roads of Reykjavik. He also told us that Reykjavik gets not only its electricity, but also hot water from the geothermal power plant. Then we were introduced with a lot of Arctic’s issues, such as the whales’ extinction because in Iceland it is legal to hunt them in some areas. There is the campaign for ‘saving the whales’ which is held with the aim to make people aware of the negative effects hunting and eating whales have. One of the days we visited a bird sanctuary, and we helped together with other volunteers to clean it. It was a huge land with a brook passing through it. We cleaned the garbage, and repaired the roads for birds. Two of the days we repaired bikes, which will later be sent to people who cannot afford to buy one. We had one excursion planned for the trip. Until then, we could only see pictures of Blue Lagoon, the famous geothermal spa. But one of the days there, we experienced it. It was way greater that it is seen in pictures. We were taking a bath while outside was only 8°C and it still felt hot. 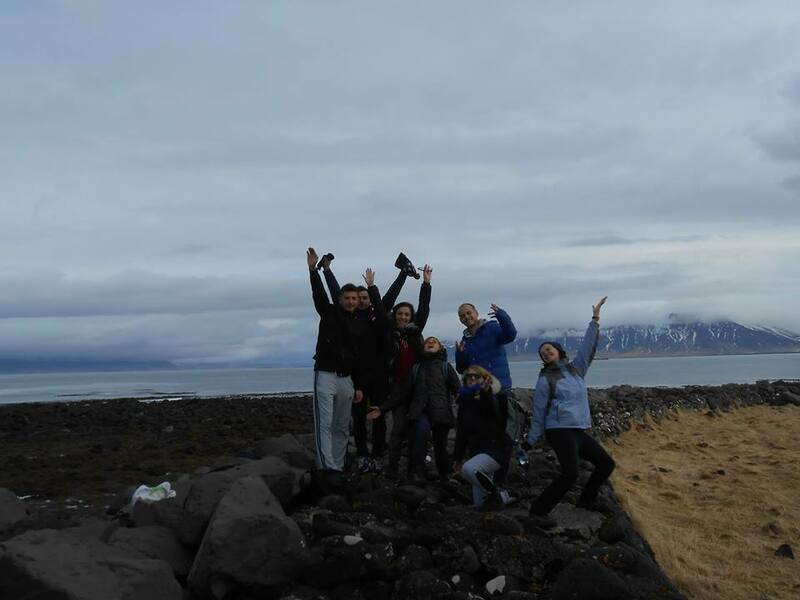 Altogether, the experience on Iceland served us to see the advanced environmental situation in Iceland, and motivated us to do the same in our country.